Over the years, we have had many beautiful Rolex watches come into our possession. Most of which are cleaned, serviced if needed, and then placed on our website for others to purchase and appreciate for years to come. Every now and again though, we come across a watch so rare that we simply cannot come to terms with letting it leave our grasp, and thus was the case with a rare Paul Newman Rolex Daytona ref. 6239 that recently found us. 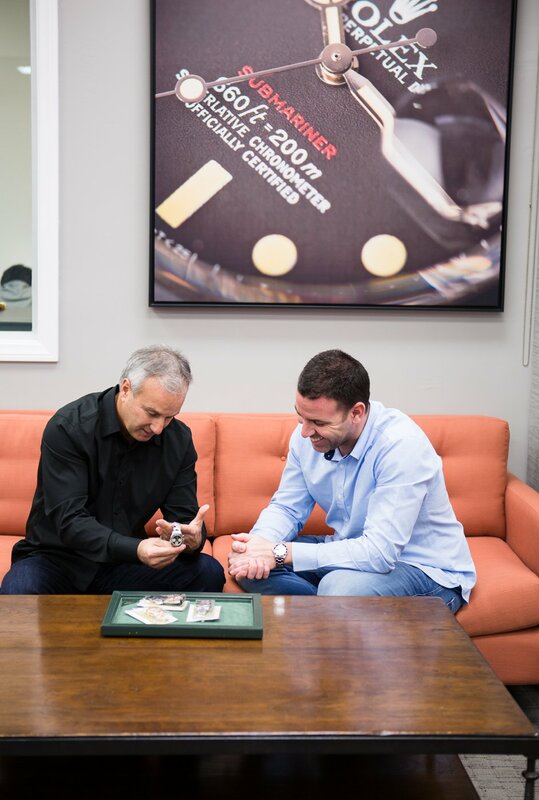 The story of this particular watches journey was so enjoyable that we decided we shouldn’t just keep it to ourselves – we want to share it with you, our fans. But we’re not just stopping there. We have many more watches with just as enjoyable and incredible histories, and this realization has led to us creating a new YouTube series to document these stories: Time Will Tell. Below is the 1st episode of the Time Will Tell series, which documents the journey of the Rolex Daytona ref. 6239 that Paul Altieri, the CEO of Bob’s Watches, just added to his personal collection. 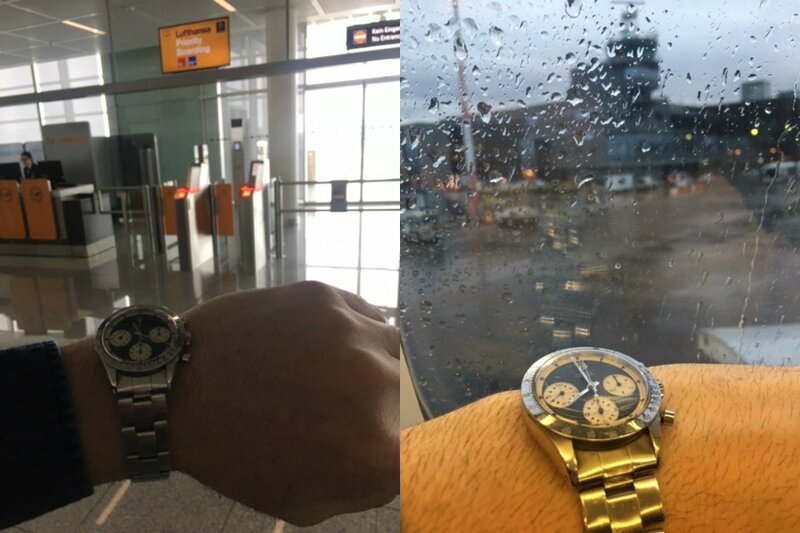 We flew our customer out from Greece first class to LAX so he could personally deliver the watch to us, and we’ve documented the entire journey below. Check out the video and photos below and let us know what you think in the comments! At Bob’s Watches, we are proud of the excellent service we extend to our customers. Our friend Vasileios experienced it first hand recently and we flew him out from Greece all the way to Los Angeles to meet us at our headquarters in Newport Beach. Meet our friend from Greece, Vasileios. In his possession was none other than his dad’s vintage Daytona Paul Newman ref. 6239. The ref. 6239 is from 1969 with a tri-color dial no less! 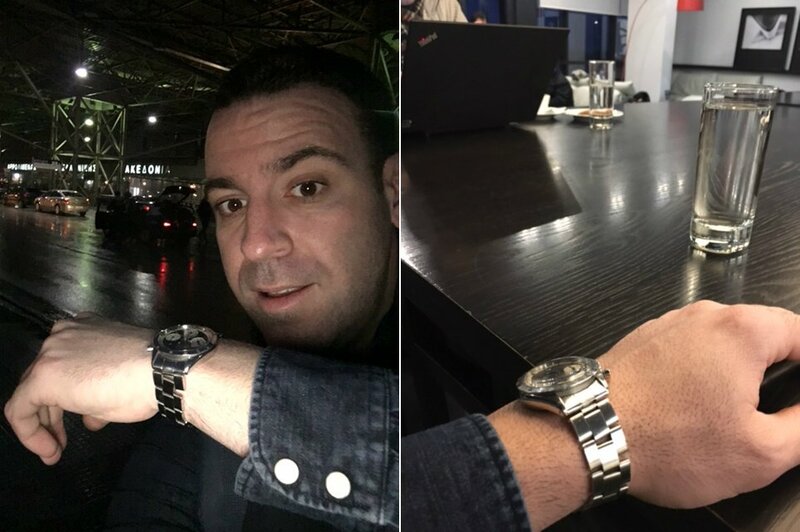 After sending us an inquiry through the website, Vasileios quickly understood that Bob’s Watches would be the best place to sell his father’s Rolex Paul Newman. He was willing to travel halfway across the world—on us—for over 24 hours to get here. From Athens to Munich to Los Angeles, Vasileios chronicled his long journey. In his videos and pictures, we see the stainless steel Paul Newman ref. 6239 safely on his wrist every step of the way. Three countries later, he was warmly welcomed by the Bob’s Watches team. 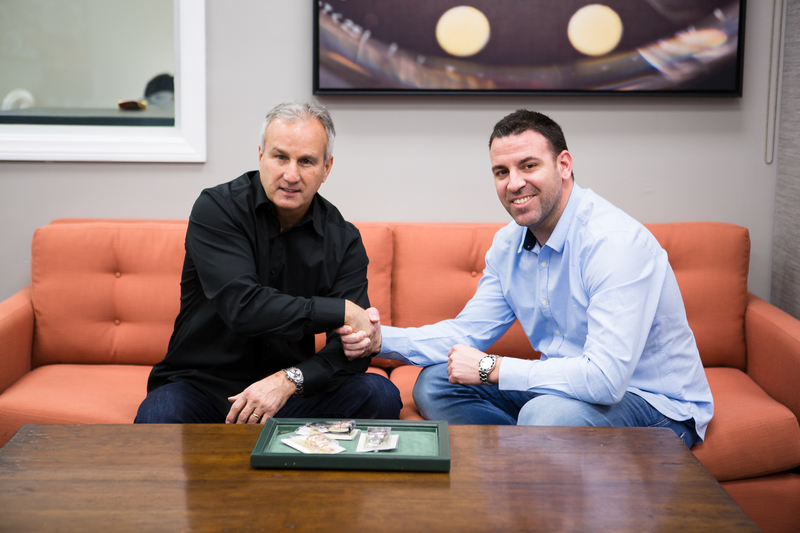 CEO Paul and Vasileios both looking happy for their newly acquired timepieces. The Daytona Paul Newman ref. 6239 is an uncommon watch since it was discontinued quickly. 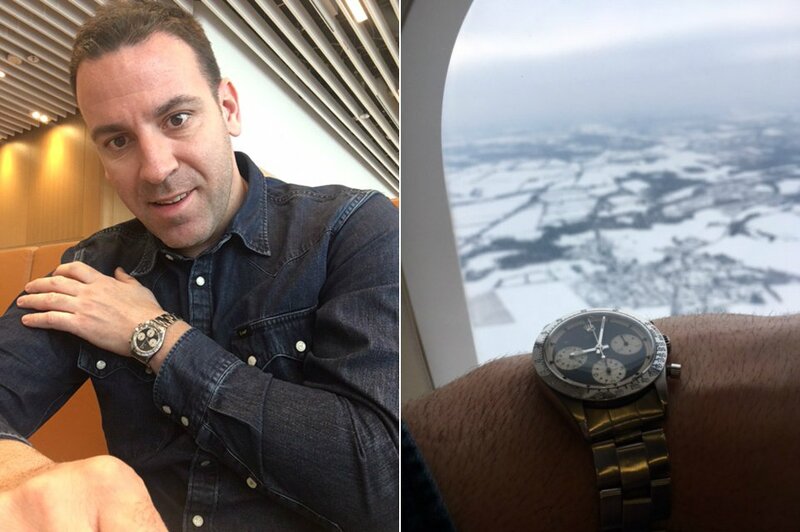 One look at Vasileios’ vintage Rolex Daytona Paul Newman and we knew we made the right choice to fly him out to our offices. Aside from the fact that the ref. 6239 will instantly drive you nuts and it is arguably one of the coolest, rarest, and most coveted vintage sports watches ever made by Rolex, this particular one is in excellent condition. The Paul Newman Rolex was an engagement gift that Vasileios’ father received from his father-in-law in 1971. This Daytona Paul Newman ref. 6239 is one of the most coveted timepieces on the market. The ref. 6239 was, of course, the first Daytona to be furnished with the Art Deco inspired dial—dubbed as the “exotic dial” by Rolex. This type of dial would later be known as the “Paul Newman” since the actor wore it often. In fact, the ref. 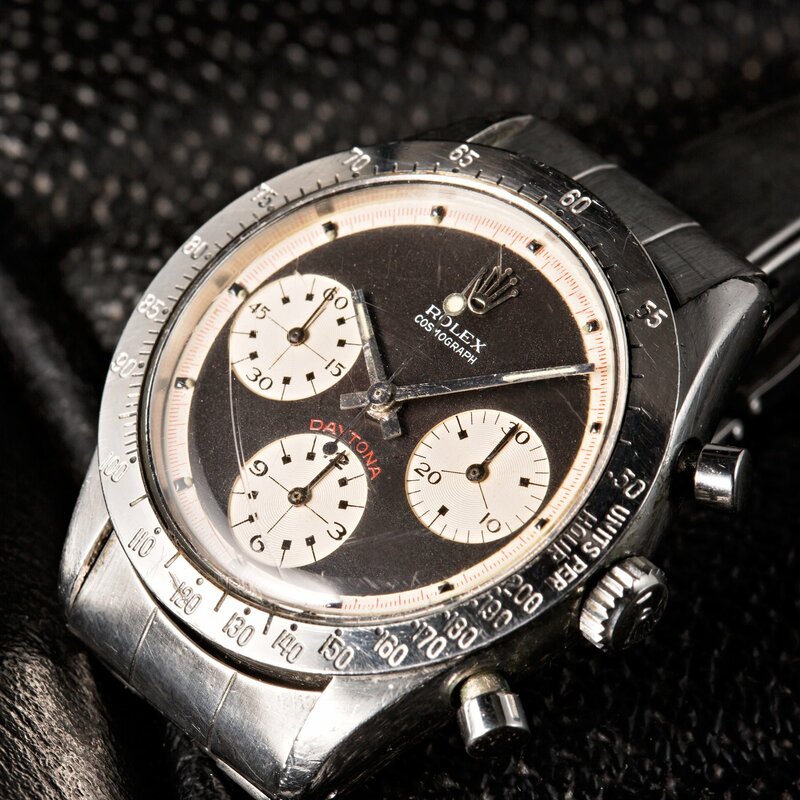 6239 was the same exact reference Paul Newman himself wore, but with a white dial. Vasileios’ ref. 6239, on the other hand, has the black dial, white registers, red outer minute track, and red DAYTONA label. 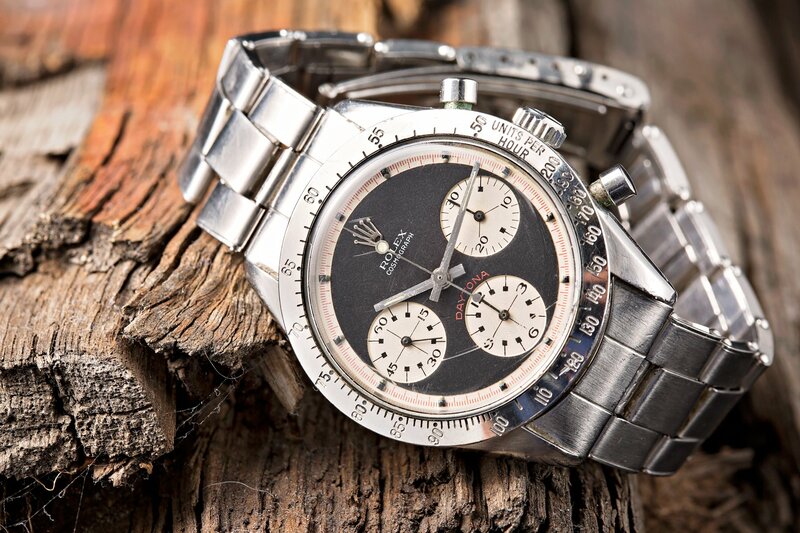 The Daytona Paul Newman Rolex ref. 6239 also includes the manual-winding Valjoux movement in addition to pump pushers. To say that the Paul Newman Daytona enjoys a cult following in the vintage watch collecting world is an understatement. It is by far the most popular vintage luxury sports watch in today’s market. Despite Vasileios’ long travel and stay, we know he has a great time. While the voyage was long and tiring, the all-expenses paid trip and payment Vasileios received when he sold us the Paul Newman, was well worth the effort. He even picked up a Submariner for himself while in our showroom. Vasileios getting ready to take off at the airport in Greece and relaxing in the lounge waiting for the proper time to board his flight. 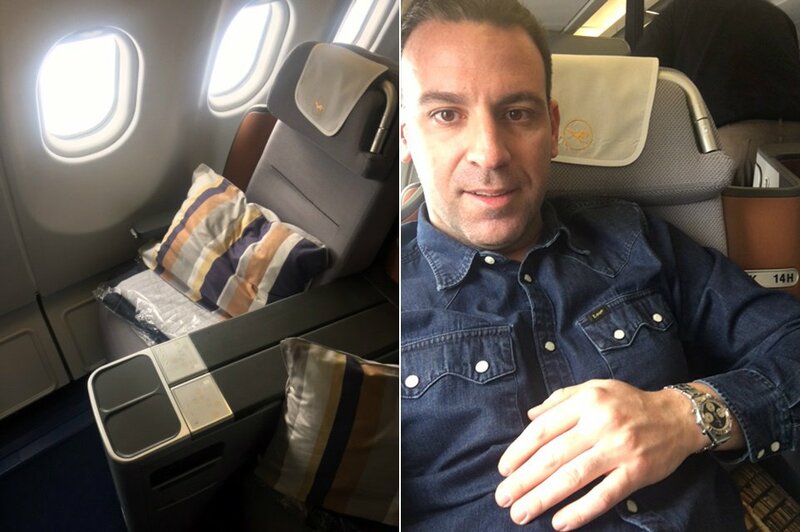 Vasileios boarding the plane and arriving at his seat, first class! 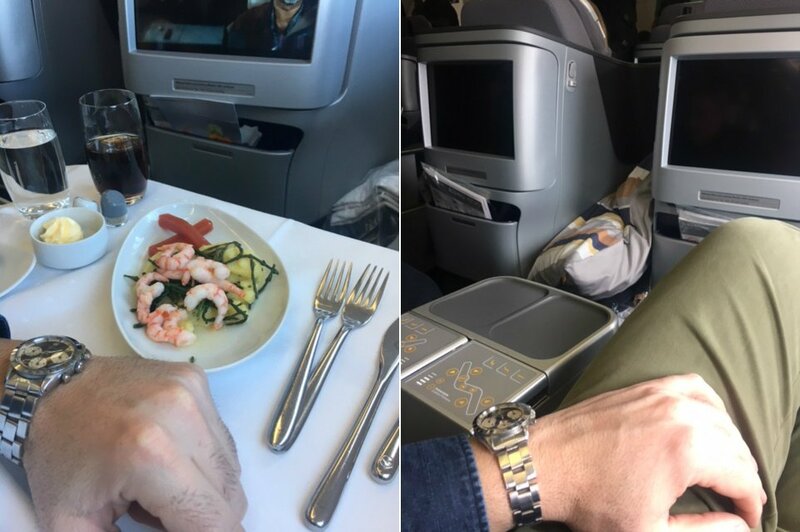 First class meal on his flight. All expenses paid by Bob’s Watches. Our friend finally touching down at and leaving the terminal. So if you’re looking to sell a vintage Rolex watch, then a first-class flight to come see us is perhaps in your future.